I have a mild case of the beginning of semester jitters. But mostly, I’m excited. My one new course for Fall is what we’ll call an experimental course. By contract, professors at West Chester University can’t team teach. So Charlie Hardy and I are doing what I’ve affectionately started calling “tandem teaching.” We’ve arranged for my graduate seminar in Digital History to meet with his Undergraduate Honors Seminar on the Great Migration to Philadelphia (in celebration of its almost 100th anniversary). And we’re going to make stuff. 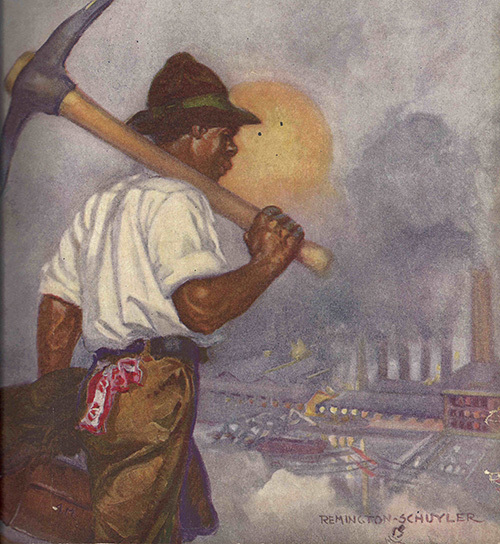 We are conceiving this as a multi-step process, in which we first create a digital archive of amazing primary sources tied to the Great Migration–photographs, letters, advertisements, ephemera, you name it, all generously lent to us due to affection for Charlie (thanks to Temple’s Urban Archives and Blockson Collection, the Historical Society of Pennsylvania, Hagley Museum and Library, the Philadelphia History Museum, and the African American Museum). We’re doing this in Omeka. Students will each upload and create metadata for a number of items. Then those items will serve as resources for their Level 3 Oral History Metadata Synchronizer indexes, created in the mind-blowing tool developed by Doug Boyd and his team at the Louie B. Dunn Center for Oral History at the University of Kentucky. And then (wait for it), we’re going to create digital stories utilizing this wealth of primary sources. Students will use a variety of multimedia tools–timelines, video, the plethora of proprietary storytelling platforms (especially the ones that will let us export or save our work without continuing to pay endless subscription fees) to creatively and critically engage with this material. I must say, I don’t know how the semester will turn out, but at this point, I’m proud of our syllabus. To me, it embodies one of the defining aspects of the digital humanities: collaboration. I could not have created this course on my own. Neither could Charlie. But we could together. And our students likewise will create some pretty fantastic things together. I’m pretty sure of it.